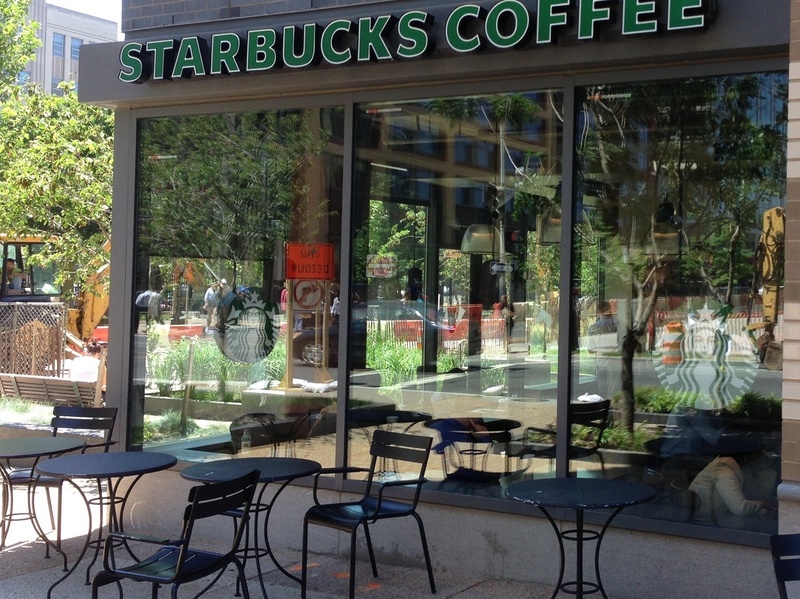 Starbucks is moving its smoking ban outdoors. Starting Saturday, according to signs posted in its more than 7,000 shops across the U.S. and Canada, "the no-smoking policy ... will include outdoor areas." Smoking will be restricted within 25 feet of the store and within outdoor seating areas. AdWeek says that "since smoking bans have swept the nation in the last decade, it's doubtful there will be a huge backlash for the brand. In fact, there's been an online movement from Starbucks consumers calling for the newly revealed policy since at least 2009." "Meredith Robinson can't wait. The non-smoker said the new rule allows her to enjoy the patio, too. 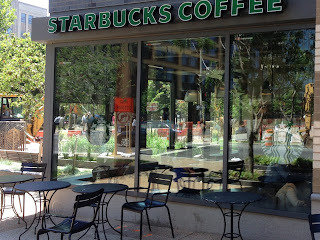 'It makes for a better environment because a lot of people go to Starbucks and drink their coffee, too, especially on a pretty day like this,' said Robinson. "Long-time smoker Charli Dirani believes Starbucks will lose business under the policy by kicking people, like him, to their curb or even farther away. 'I think for them to stop that is a conflict between the two,' said Dirani. "Everybody knows coffee and cigarettes go hand-in-hand.' "
For the rest of the story, go to NPR.